Get fit with this free workout class held every Saturday morning. Meet at 8am under the Santa Monica Pier sign at the top of the ramp on Colorado and Ocean for a 2-5 mile run around the beach and pier. (Not a runner? Don't fret—walkers are welcome, too.) 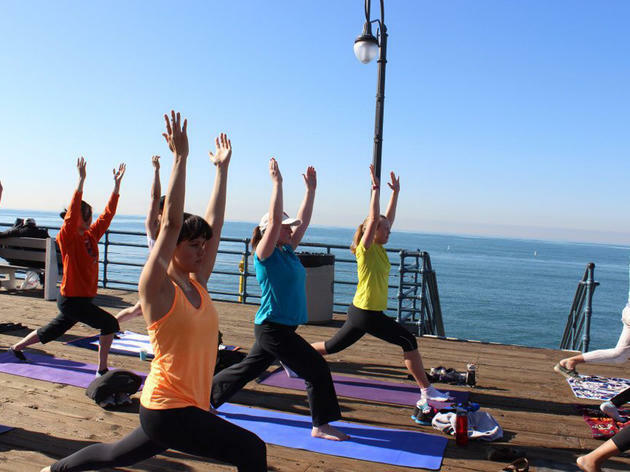 At 9am, pick up your yoga mat and meet at the far west end of the pier. 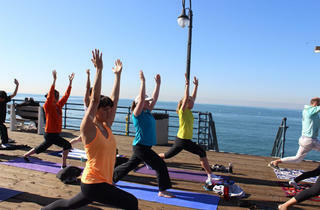 Enjoy sweeping ocean views as local yoga instructors help perfect your Downward Dog and Warrior pose. All experience levels are welcome.